I started with this great "Debby Girl" stamp and drew the scenery around her. I colored her with PITT pens and some distress inks. I also used a lot of large floral stamps and background stamps on this page like "Hollyhocks", "Wildflowers and Wings", "Reversed Punchinella", and "Tribal Trend" just to name a few. I keep my Unity stamp sets organized by use or theme and that makes it so much easier to me to mix and match my sets. All of the stamps besides Debby Girl were in my 'mixed media' drawer, so this limits the amount of time spent digging for the one I want! 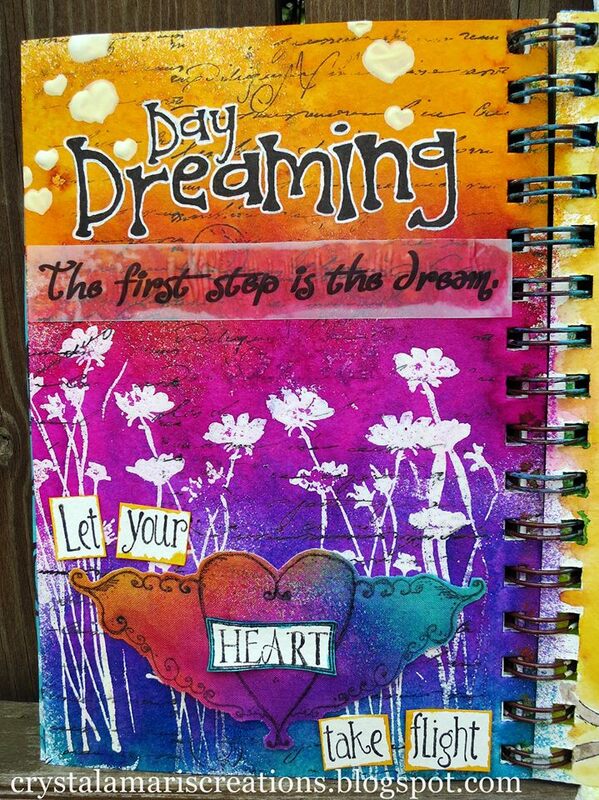 Crystal created this bright and vibrant journal page. I just love how she blended every color of the rainbow into this page! Sharon created this beautiful canvas. 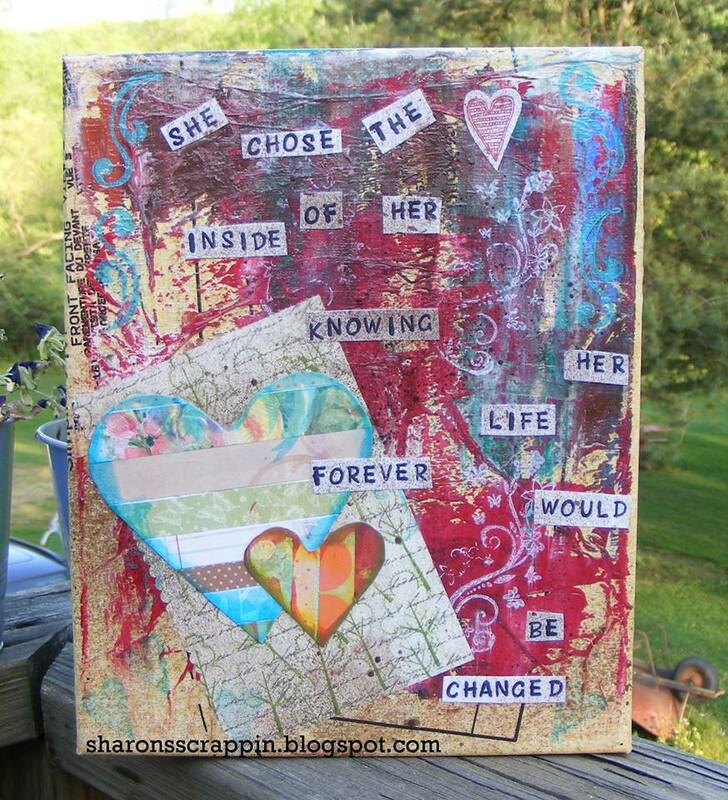 I love the added texture and the great quote she included.